When there’s news at a publicly traded company, there’s probably also an 8-K filing. These are the filings that many investors watch most closely, and among the ones companies file most often. Form 8-K is a very broad form used to notify investors of any material event that is important to shareholders. That isn’t surprising: 8-Ks are easily the most varied of the disclosures commonly filed with the Securities and Exchange Commission. They don’t appear at regular intervals. Companies file them for dozens of reasons, from disclosing the sudden departure or death of a chief executive to recording minor changes in an obscure ethics policy. And plenty of companies file still more of the documents voluntarily. But don’t be intimidated: 8-Ks are also among the most reporter-friendly filings a company makes. They tend to be short and are usually clear about what they disclose. They even come numbered to indicated the general topics they cover, using an SEC-standard coding system. In these posts, we’ll look at what companies tend to disclose in 8-Ks, and how reporters can use them most effectively, whether to break news, stay on top of a beat, or inform a feature or investigative piece. Routine to dramatic: 8-K filings run the gamut. Click for larger image. Officially, 8-K filings are called “current reports.” As the name suggests, they’re intended for disclosing timely information. In fact, they can be used to disclose pretty much any information the company chooses to consider significant and timely enough to put on paper. Some companies, especially small ones, seem to file an 8-K for every press release (and then some). But there are some events or developments that require companies to file an 8-K. 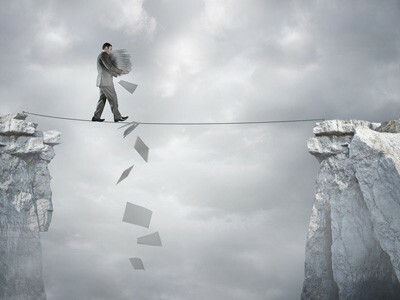 These include signing or ending significant contracts (including employment agreements with top executives), filing for bankruptcy, acquiring or selling significant assets, releasing an earnings report, getting kicked off a stock market (“delisting”), changing auditors, revising flawed financial results, the departure of top executives or directors and disclosing the results of annual annual meetings. Below, I’ll go into more detail about some of the more useful categories of 8-Ks. In addition, the SEC has its own partial list in its How to Read an 8-K investor bulletin (PDF). Note that several kinds of 8-Ks — including most of the above list — must be filed within four business days of the event that triggers a disclosure requirement (i.e., weekdays excluding federal holidays). Companies sometimes miss this deadline, though, or push filings to the very last minute, so keep your eyes peeled. 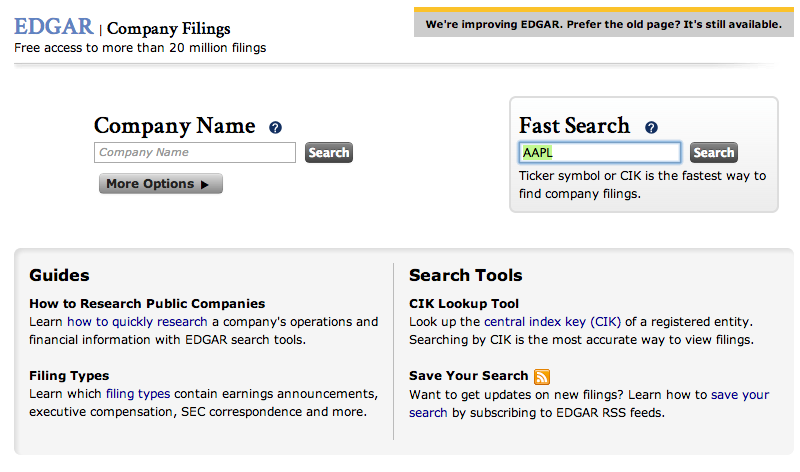 New look: Edgar’s redesigned Company Search page keeps things simple. Click for larger image. You can find 8-K filings the same way you find proxies and quarterly reports: via the Edgar database or any of the various services that build on it. From the SEC’s Edgar search page, enter the company’s name or ticker symbol, and hit Enter (or click Search). The results page includes most or all filings by the company; to get just quarterly reports, type “8-K” in the Filing Type field and hit Enter. You can also pull up the most recent 8-Ks for all companies by going to the SEC’s Most recent filings page, and entering “8-K” in the Form Type field. (Note that doing this will automatically capture amended 8-K filings as well as ordinary 8-Ks.) You can also narrow the search by company name or, if you know if, the company’s Central Index Key (see Glossary); unfortunately, ticker searches aren’t supported here. Many 8-Ks include exhibits, listed in the index page (“Filing Detail”) in Edgar.